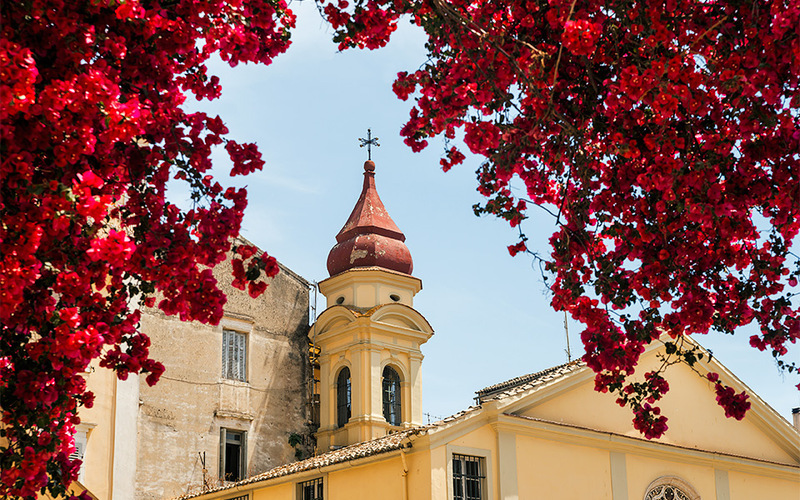 Even in these days of mass tourism, the jewel of the Ionian, Corfu, still maintains a romantic allure – and never more so than during springtime. 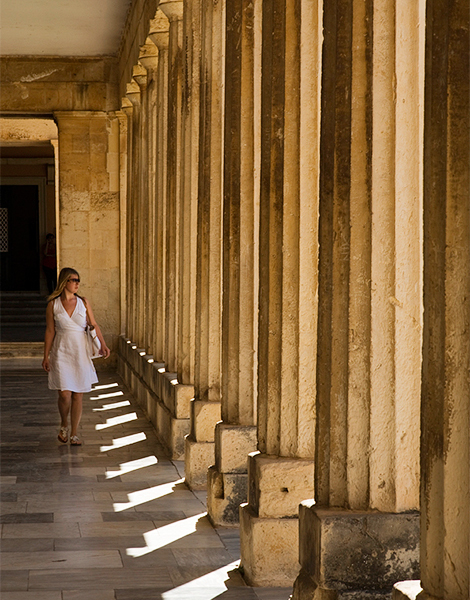 A stroll through Corfu Town is like a journey through time. 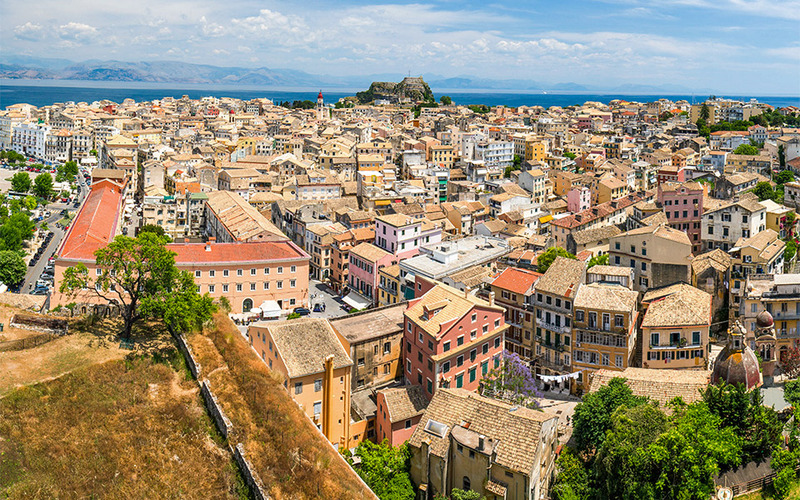 Thanks to its unique history (Corfu was ruled by the Venetians until the 19th century and subsequently by the British), Corfu has a distinctly ‘European’ feel, with the town’s architecture more reminiscent of Venice or Florence than the white-washed homes characteristic of the Greek islands in the Aegean. Here splendid monuments, palaces and colorful homes with tiled roofs and attics make for a decidedly romantic townscape. At ground-level the grand Spianada Square and the adjacent pedestrian street of Liston have an aristocratic old-world grandeur. Wander around the Old and New Fortresses, the Palace of St. Michael and St. George and the the Achilleion Palace (built in 1890 by the Empress of Austria, Elisabeth of Bavaria who fell in love with the island). Or go even further back in time with a visit to the site of Paleopolis with the ancient temple of Artemis Gorgon and the 6th century BC tomb of Menekratis. The British rulers of Corfu built this grand villa as summer retreat in the 19th century in subsequent decades it was enjoyed by aristocrats and royalty alike. Apart from the villa itself – a gem of the city – the lush gardens of the 26-hectare estate are worth a visit in and of themselves. In spring in particular the blooms and lush vegetation are utterly enchanting. Corfu has an unparalleled musical heritage and the sounds of flutes, clarinets and saxophones can often be heard on the city’s streets even on ordinary days, with notes wafting through open windows from the town’s countless music schools. 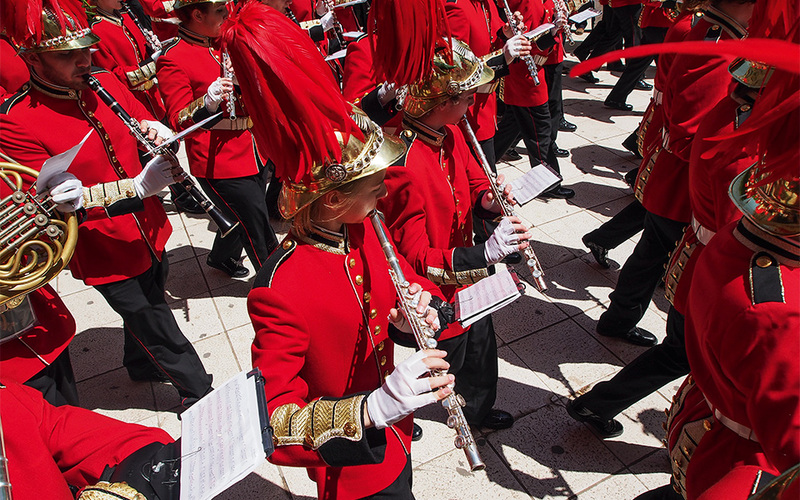 On special occasions the town’s many bands – each with its own distinctive livery – take to the streets. Over Easter the music accompanying the Epitaph during the Good Friday procession (which actually takes place on Saturday – see below) creates an emotional and meditative atmosphere. The wetland of Korission is a Natura 2000 protected area thanks to its incredible diversity of rare plants and wildlife. 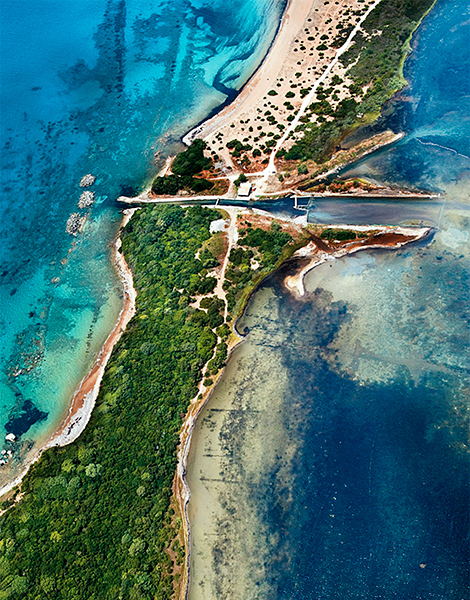 Located adjacent to the sea on the southern coast about 30km from Corfu Town, the lagoon covers an expanse of over 600 hectares and is an important stop for dozens of species of migratory birds – many of them endangered. With the landscape in full bloom, spring is one of the best times of the year to see some of the many permanent inhabitants and visitors to the wetland such as red-footed falcons, European flamingos, kingfishers, pygmy cormorants, great white egrets, herons and marsh harriers. Note down on your list noumboulo (a local sausage) and spetseriko ─ a spice mix based on a secret recipe that gives pastitsada (a local meaty, red sauce served with pasta) its tasty flavor. Also don’t miss the region’s traditional nougat or its fine, handmade soaps. Corfu celebrates Easter with a wide variety of unique local traditions, but the most popular of all is that of the “Botides”. Throughout Greece the tradition is to make as much noise as possible on Easter Sunday to celebrate the resurrection of Christ. In Corfu, in the historic city center, the locals achieve this by throwing jugs of all sizes, even enormous amphora-like pots, from their balconies to smash on the street below. This cacophony is accompanied by music from the dozens of philharmonic bands of Corfu. The day before in a more sombre ritual, the Epitaphios procession takes place, with the relics of Aghios Spyridonas being carried through the streets together with the epitaphios, or funerary bier, of Christ. The procession takes place on Holy Saturday as opposed to the customary Good Friday in remembrance of a mandate imposed by the Venetians in 1574. Daily flights from Athens, with an average price of 280 euros return. By car from Athens to the port of Igoumenitsa (about 5 hours, 130 euros for fuel and tolls roundtrip) and then a ferry boat (22 euros/person and 80 euros/car roundtrip). Grecotel Corfu Imperial (tel. (+30) 26610.884.00, ): an ultra-green private peninsula featuring a luxurious resort. Siorra Vittoria (tel. (+30) 26610.363.00, ). A renovated mansion dating back to 1823 in the city of Corfu. Klimataria (tel. (+30) 26610.712.01) in Benitses. Their specialty is grouper with tomato and celery and tope bourdeto – a local fish-based speciality. Alexis (tel. (+30) 26610.390.12). Breakfast in a dairy shop and enjoy fresh butter on bread with honey and spreads.